I was making bread yesterday (one of my first attempts!) and I used my Kitchenaid mixer to knead the bread. 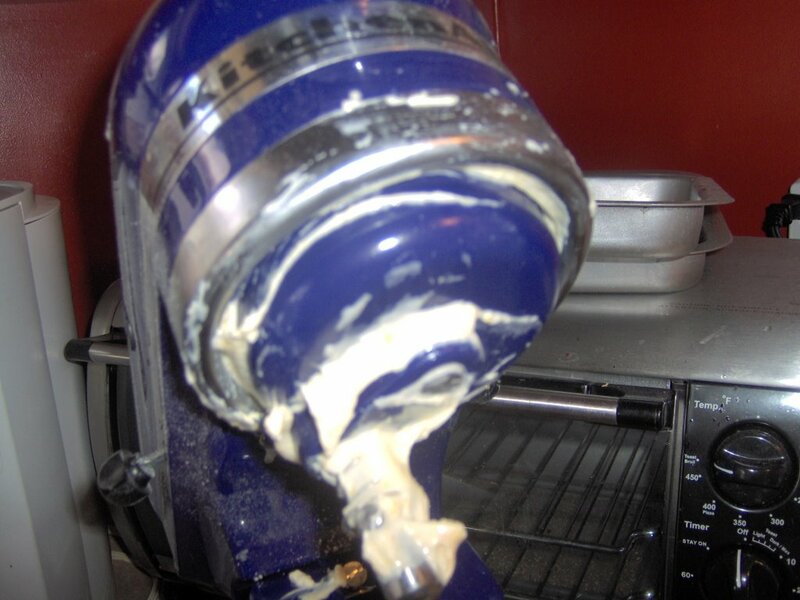 However, when it was kneading the doug climbed right up the dough hook and into the mixer a bit. Is this normal? Did I do something wrong? Otherwise it did a good job on the bread. I can include the recipe if required. Please see the photo below. The answer to your question is yes, sorta. I personally use a trick to keep my dough from climbing up the bread-hook. Non-stick cooking spray. Remove the hook from your mixer, hold it by the hook, then spray the top and bottom of the "flat paddle" with the non-stick spray. The dough will want to keep climbing but it slips back rather nicely once the spray is in the way. Only rarely do I have to pull my dough back to keep it in check.